Take your products to the next level with video. BoLS Interactive has a full video production studio to help you connect with your customers. From product reviews, to gameplay guides, tutorials, let's play videos and developer interviews, let us help you do more than simply display your products. Use the attention grabbing power of video to Inspire, connect, and sell! BoLS is a top 1500 internet publisher in the United States with over 1,300,000 unique monthly readers. Our loyal readership are dedicated tabletop gaming, roleplaying game and hobby and miniatures enthusiasts. Whether you are a retailer, event organizer, manufacturer or anything in between , work with BoLS to produce product videos for your company's use and to engage this core gaming audience. We have a full video production studio with multi-camera and greenscreen-capabilities. The possibilities of video are limitless. Here are only a handful of video categories to get your creativity going. We can produce video content in-studio both independently or with your staff on hand. Design and film a custom series of videos highlighting your products in the BoLS studio. Do you want a full multi-day series of sponsored content to highlight your products on the BoLS network? Work hand in hand with BoLS staff at our Austin, TX studio to handcraft, film, edit and schedule a multi-video series of videos showcasing your products. From staff interviews, to product overviews to custom demos, we can film a variety of formats to achieve your marketing goals. We will then work with you to schedule and promote your sponsored series of videos across the BoLS network and all our social media channels. Showcase your products live on our Twitch channel. Go live with potential customers on Twitch. Demo your latest products with our staff, let us host a live talk show and Q&A session with your staff, or both. Get the interaction with potential customers you'd get at a convention from our studio with a world wide audience. 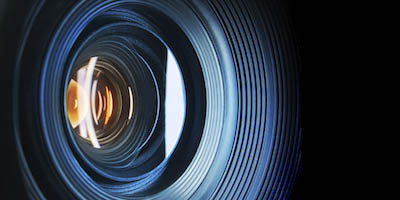 Every company is different and have their own distinctive video production needs. Please contact us to go over your ideas in detail. We will be happy to help promote your newest product and expand your customer base.